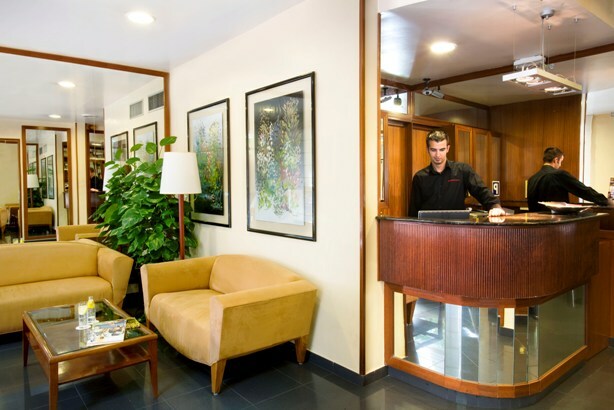 Located in Barcelona (Horta-Guinardo), H·TOP BCN City Hotel is within a 15-minute drive of Sagrada Familia and Park Guell. This hotel is 2.2 mi (3.6 km) from Casa Mila and 2.5 mi (4.1 km) from Casa Batllo. Make yourself at home in one of the 40 air-conditioned rooms featuring plasma televisions. Satellite television is provided for your entertainment. Private bathrooms with shower/tub combinations feature complimentary toiletries and hair dryers. Conveniences include phones and desks, and housekeeping is provided daily.